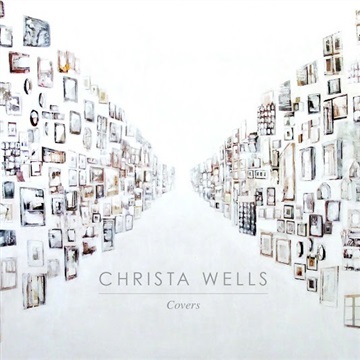 After releasing her 3rd solo album, FEED YOUR SOUL, in 2013, Christa Wells, known for her uniquely incisive lyrical abilities, looked for a project that would stretch her artistic voice. The COVERS ep, produced by Nashville’s esteemed Ben Shive, is a dark & rich re-imagining of 5 beloved alternative songs from the late 80s-90s. Featuring tunes from Smashing Pumpkins, U2, The Smiths, Depeche Mode & Nirvana, the project debuted as a full album download here on NoiseTrade during the week of its release. Now, download track 4 (Waiting for the Night) here and get the rest of the album from iTunes or other online music retailers. Produced by Ben Shive at The Beehive in Nashville, TN. Male Vocal on “One”: Kaleb Jones All Instrumentation by Ben Shive, except the following: Guitar Overdubs on “One”: Nathan DuggerPhotography & Graphic Design by Shelly Eve Collage Art “A Deep Rich Look” by Mandy Rogers Horton Like FEED YOUR SOUL, this album would not have been possible without the generous contributions of my Kickstarter supporters. There will never be words to convey my gratitude. You truly put wind in my sails. Thank you from the bottom of my heart.